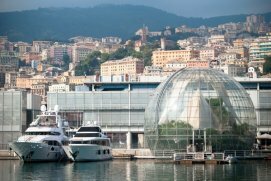 As many of my friends know, I love MYBA’s Genoa Charter Show and last week’s – the 28th edition, was no exception. This year’s show began last Monday with a 90 minute seminar/question and answer session on the 2016 update to the MYBA Charter Agreement. Maritime Lawyer, Joanna Welch, with MYBA’s London legal counsel, Gateley, patiently walked the audience of brokers and captains through the latest 8 page version. It was clear that a lot of work has gone into this edition with lots of input from the industry. Although perhaps of greatest interest to brokers, Welch emphasised that it is a solid framework that like any similar standard legal form cannot suit exactly every situation but everyone in the industry should read the contract through. More importantly she emphasised that modifications should be made only if deemed absolutely essential and with careful legal consideration. First it should be remembered that the standard form contract has interlocking clauses, so changes to one could have drastic effect on others. She also reminded that a very common but dangerous modification is to change with the stroke of a pen the legal jurisdiction from English courts, especially given the principles and practices of English Common Law differ markedly from most European Civil Law. Many people apparently bravely do this without thinking in an attempt to save legal costs in London. Welch urged that if a change of this type is considered it should be done only with the advice of local legal counsel in the proposed alternative jurisdiction. The latest version also contains important changes in the arbitration process. Again, if you’re involved in chartering, best read it.